Shirley O. Corriher has a B.A. in chemistry from Vanderbilt University, where she was also a biochemist at the medical school. 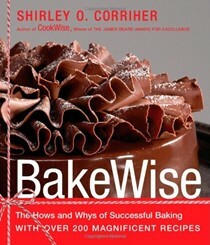 She has problem-solved for everyone from Julia Child to Procter & Gamble and Pillsbury. She has taught and lectured throughout the world. She has long been a writer-- authoring a regular syndicated column in The Los Angeles Times Syndicate's Great Chefs series as well as technical articles in the Journal of Biological Chemistry. 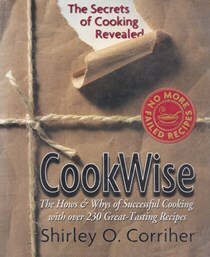 Her first book, Cookwise: The Hows and Whys of Successful Cooking is a bestseller and won a James Beard Award for excellence. 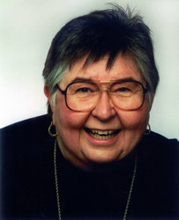 Shirley has received many awards, including the Best Cooking Teacher of the Year in Bon Appetit's "Best of the Best" Annual Food and Entertaining Awards in 2001. She lives in Atlanta with her husband, Arch. Read Seattle Tall Poppy’s interview with Shirley Corriher.